← XSS Phishing for Fun and Credentials! 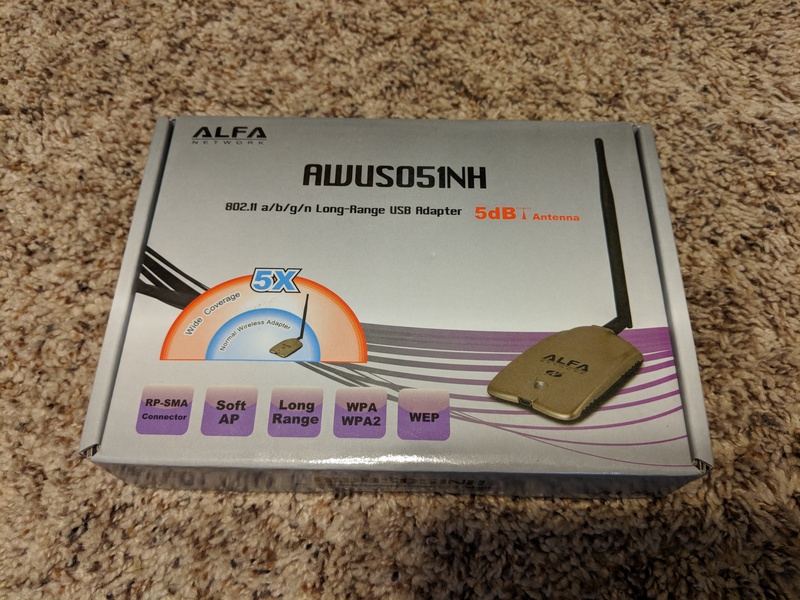 I had a few questions about using an Alfa AWUS051NH wireless card, so I figured I would share a quick write-up about it. The nice thing about this particular Alfa card is that it supports 5GHz, as opposed to the AWUS036NHA. I picked up two of these for any 5GHz engagements that I run into, plus as some primary use wireless cards. First, I plugged the card into my Mac, and VMware detected it just fine. 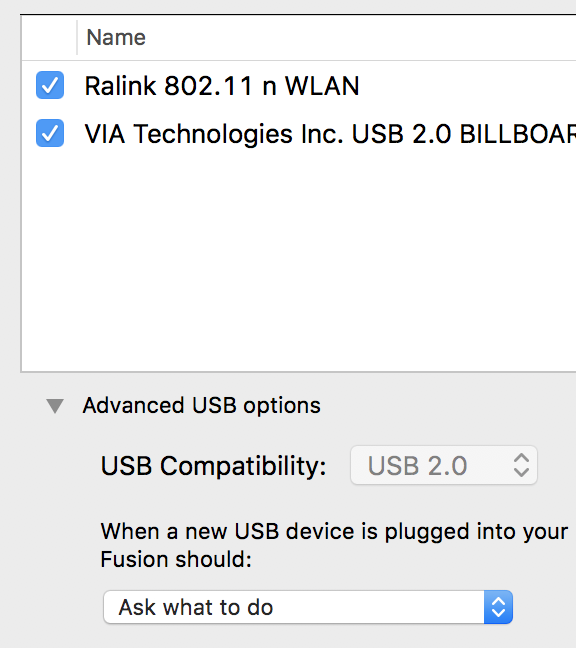 Ignore the other USB device, that is just one of the wonderful USB-C dongles that I have to deal with. I passed it through to Kali, and Kali was also able to detect the card. When I ran iwconfig, the card showed up as wlan0. With the card connected and detected, it was time to put it into monitor mode. Once I started monitor mode, I verified this by running iwconfig again. Next, as the card was in monitor mode, it was time to test injection. Unfortunately, aireplay was finding 0 APs. I knew this was incorrect, as my onboard cards were finding plenty of access points in the area. Additionally, airodump was showing 0 access points as well. First, I verified my kernel, just to make sure that the card would work. After a bit of searching and debugging, it appeared that my virtual machine USB settings were the culprit. I shut down my VM and set the USB Compatibility to USB 3.0. With the USB settings changed, I verified that the card was still detected by Kali. With the card detected, it was time to put it back into monitor mode. This time around, airodump was finding all the access points around me! I also wanted to verify that the injection speeds were working properly. It was great to see these numbers, as opposed to my AC1200 card. While I ran into a few issues, it was super easy to get this card setup and running. This is now my main wireless card, as it will handle A/B/G/N and 2.4/5GHz without any issues. Hopefully I'll be able to share more wireless attacks soon, so let me know if there is anything specific that you'd like to see!